Missouri Wrestling Revival is very excited to have the one and only “Road Dogg” BG James as a part of the MWR Trading Card series. 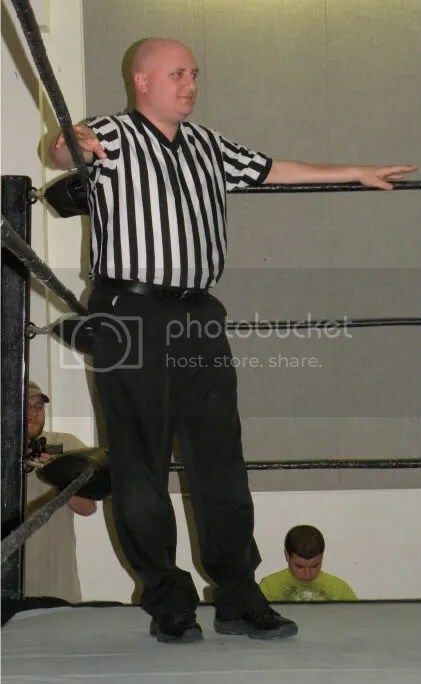 The son of 2011 WWE Hall of Fame inductee “Bullet” Bob Armstrong and brothers to fellow wrestlers Brad, Scott and Steve, James will go down in history as one of the most entertaining wrestlers to ever set foot in the ring. 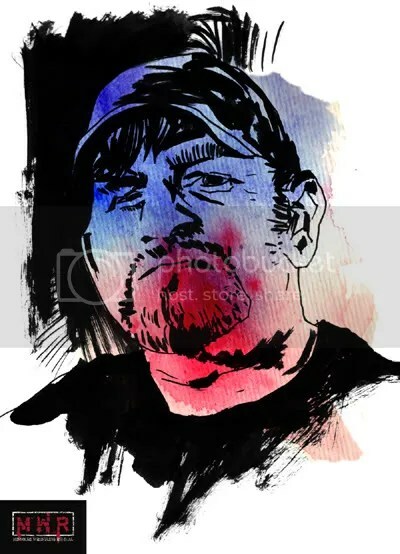 James was instrumental in bringing back WWE from the dire straights in the late 80’s in a war with rival WCW. With fellow stars “Stone Cold” Steve Austin, the Rock and Mick Foley and James’s faction of Degeneration X wrestling was cool once again. .
Degeneration X members included Shawn Michaels, Triple –H, X-Pac, Chyna, Rick Rude and James tag team partner Billy Gunn. Together James and Gunn was the New Age Outlaws!! The two would go on to win 5 WWE Tag Team Championships Four of their victories came over teams that included Mick Foley with four different partners (Kane, Terry Funk, the Rock, and Al Snow). They hold the fourth longest reign in WWE Tag Team history with 468 days. 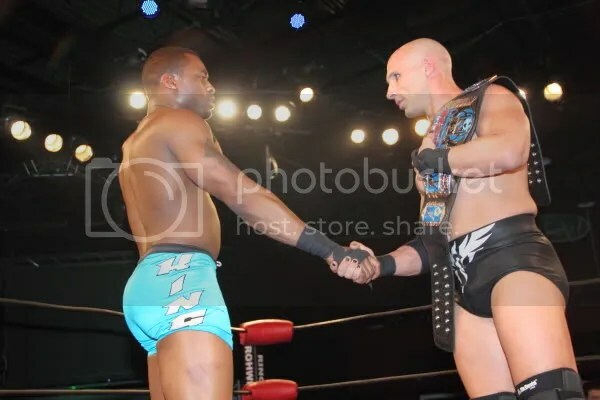 James is also a former WWE Intercontiental and Hardore Champion before he went on to compete at TNA Wrestling to win 2 NWA Tag Team Championships with Ron Killings and Konann. Though he would be able to hold onto gold several times, it is his charisma that is matched by very few that has made him a World wide star. We are proud to announce that BG James is number #47 in the MWR Trading Card set. 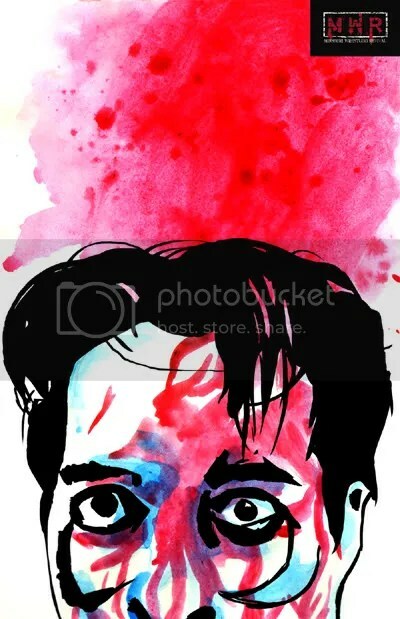 The artwork of B.G James from the hottest comic in the Midwest, The Promotion. The promotion is drawn from none other than Rob Schamberger. Pro Wrestling is a tough sport to keep control of. That is why the job of a referee is called upon only from the best. Michael Crase JR knows the pressure of wearing the black and white in big matches. He has been in main event matches with stars such as Trevor Murdock, Dingo, Derek Stone, Al Snow, Jeremy Wyatt and many more. 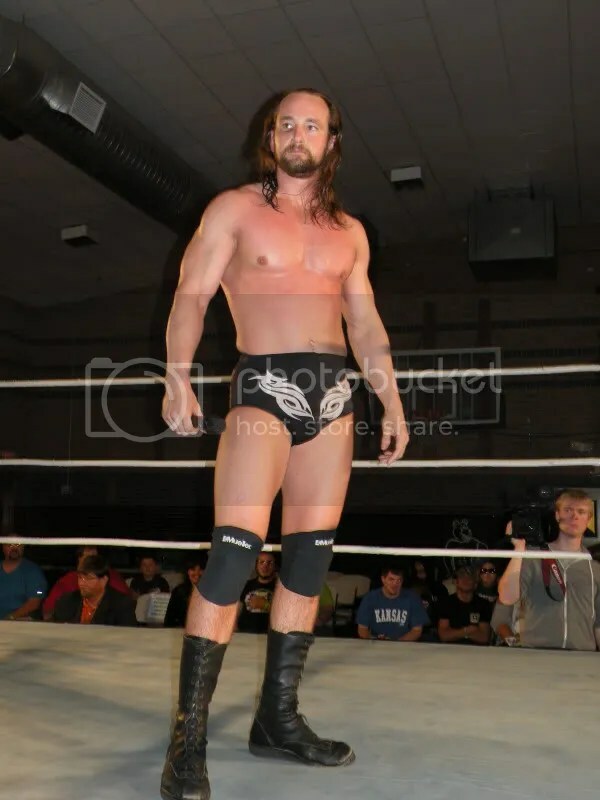 Hard working and reliable Michael has been active recently at NWA Dynamo and Metro Pro Wrestling. We are proud to have a man as dedicated and hardworking as Michael Crase for number 33 in the MWR Trading card series. Jeremy Wyatt and Tyler Cook Presented 2009 MWR Match of the Year Plaques. 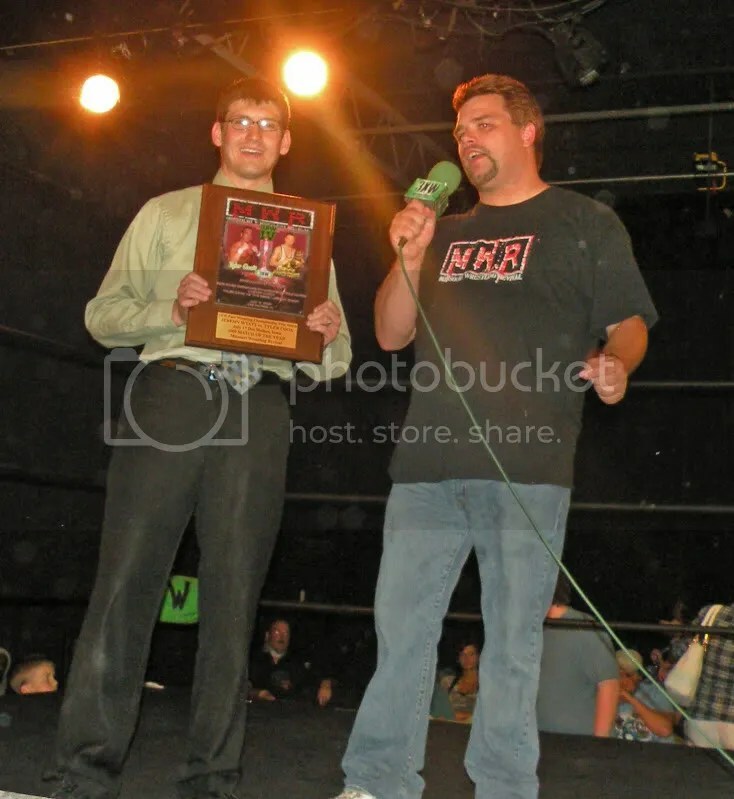 Last month on June 4th in Des Moines Iowa, we were on hand to present the 3XW Champion Jeremy Wyatt and Tyler Cook the 2009 MWR Match of the Year plaque for their match last July 17th for the 3XW Pure Championship title . Tyler Cook would have his hand raised on that evening in a match that is still talked about today. 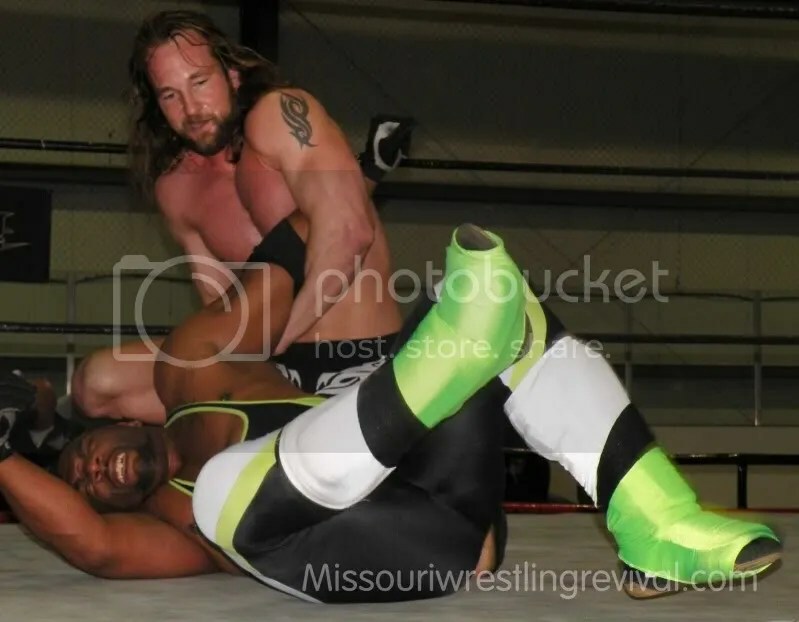 Since that time Jeremy Wyatt made that loss the pivotal point of his career when he bounced back to defeat “Delicious” Devin Carter for the 3XW Heavyweight title. 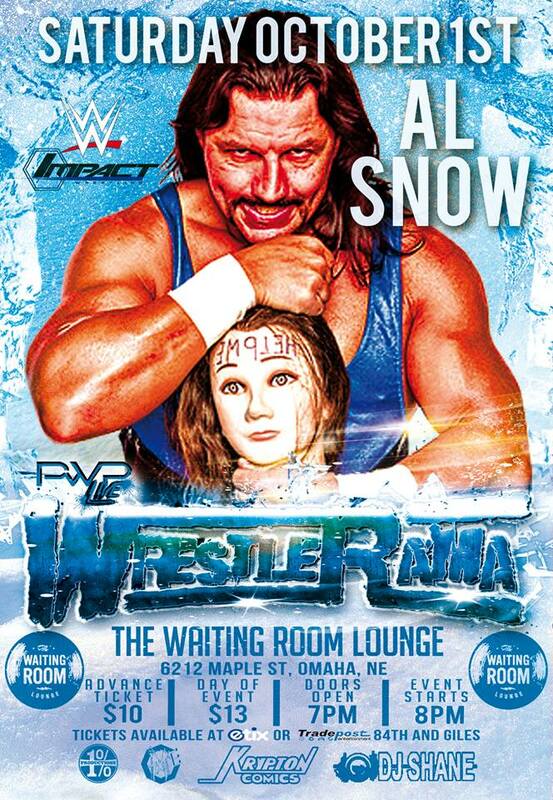 Wyatt recently broke the record for the longest 3XW Champion and has had thrilling matches with Al Snow. Maddog McDowell, Tyler Black and an incredible series with fan Favorite Rory Fox. Tyler Cook on the other hand has floundered and looking to regroup after losing the very next month against the unstoppable Kraig Kessaman who as of press time has not been pinned at 3XW since August of 2008…Yes I said August of 2008! We are huge fans of Tyler Cook here at MWR and feel that it wont be long till he is back in the title hunt again soon. Midnight Guthrie and Brian Kelley talks about the MWR Award during intermission. While we were there we got to see a rematch of Wyatt vs. Cook only this time Wyatt was the 3XW Champion. Wyatt would prove once again that he is among the top in the sport today by submitting him to a crossface. 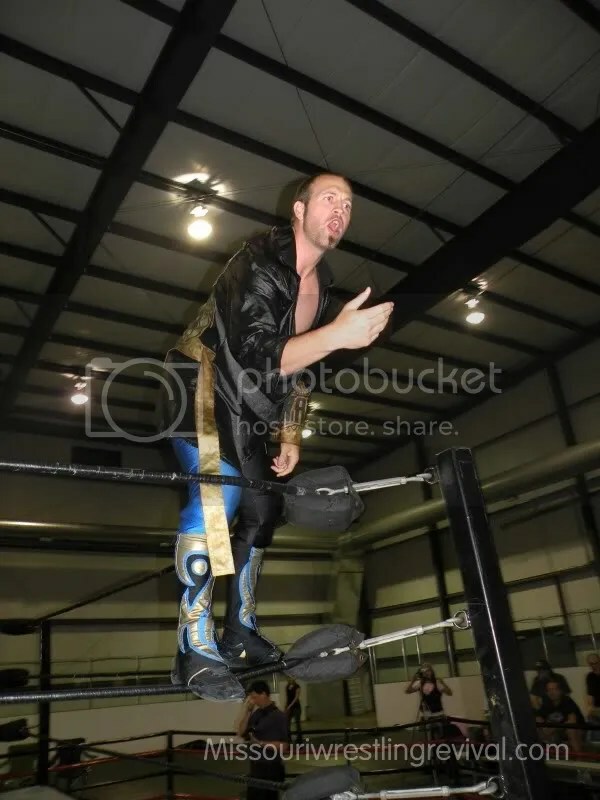 A old foe in Rory Fox would come Rory Fox came out and officially announced he would be using his Gauntlet for the Gold title shot against Wyatt at the 3XW 5 Year Anniversary Event this Friday Wyatt said “fine, but I choose the stipulation. It’s going to be a ladder match!!! 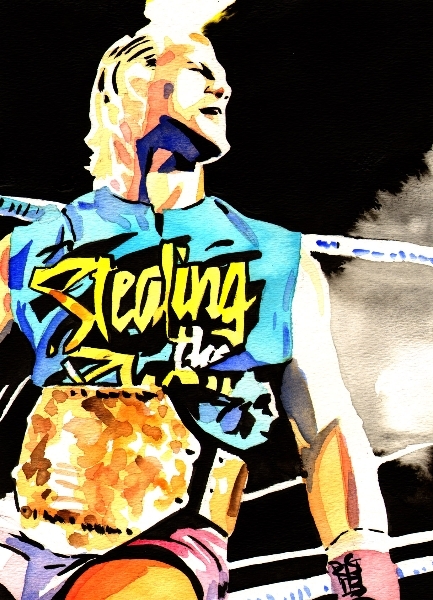 Can Fox finally get the win for this coveted title or will Wyatt continue to be the one man that has his number? Before we take the time to watch the 3XWrestling commercial I would like to thank 3XW, Jeremy Wyatt and Tyler Cook for their time last month during that important evening as we honored Wyatt and Cook with the 2009 MWR Match of the Year. Jeremy Wyatt -Tyler Cook 2 June 4th in Des Moines Iowa. Last year Jeremy Wyatt and Tyler Cook tore the house down on July 17th in a Ladder match for the 3XW Pure Wrestling Championship. In a back and forth war for the ages, Tyler Cook would survive by getting to the top of the ladder first. The match would earn them the 2009 MWR Match of the Year as well as more fans for the sport. 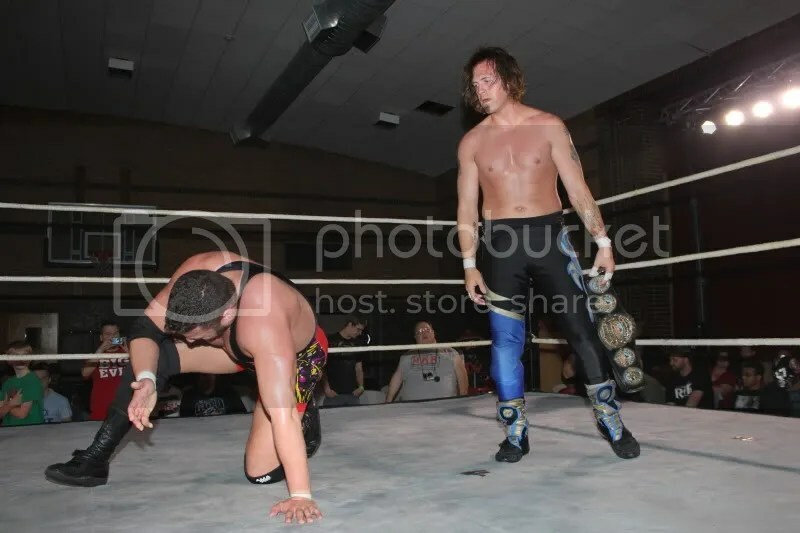 Just a month later Wyatt would win his very first 3XW Championship by defeating three time 3XW Champ Devin Carter while the same night the red hot Kraig Kessaman would derail Cook and take his 3XW Pure Championship. Wyatt has turned away formidable opponents Rory Fox, Al Snow, Tyler Black, Maddog McDowell and most recently Jimmy Rockwell but has the man who took the 3XW Pure title from Wyatt going to walk away as the new 3XW Champion? This Friday is the rematch. This is a match that you will NOT want to miss. Jeremy Wyatt vs Tyler Cook for the 3XW Championship. Worth the price of admission alone! Pro Wrestling Entertainment Champion “Bloody” Harker Dirge will defend his title against “The Human Massacre” Keith Walker in Springfield Illinois on November 6th at the Capital City Bar and Grill. Dirge has defeated Al Snow, Kahagas, Brandon Aarons and most recently wrestling legend Cowboy Bob Orton. Can he handle the sheer power of a man who is feared around the world? 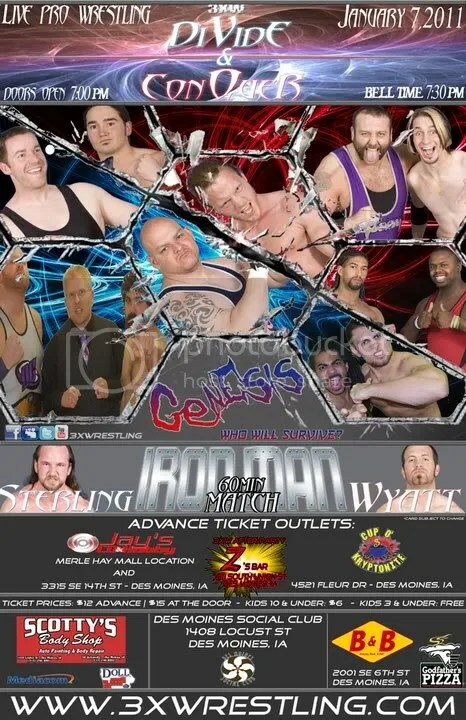 This could be brutal as PWE has sanctioned this card for 21 and over only!!!! For more info on PWE click here.